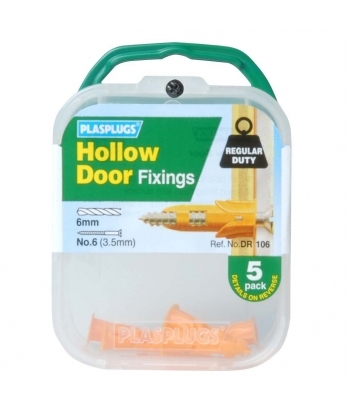 Fitting coat hooks, nameplates and other fixtures to the narrow gauge of hollow doors and panels needs a very specialised fixing. 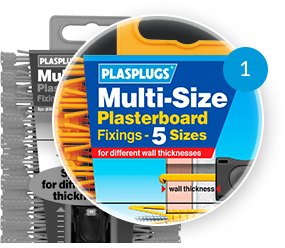 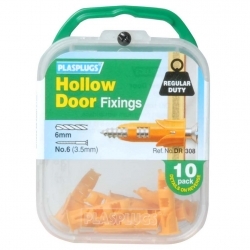 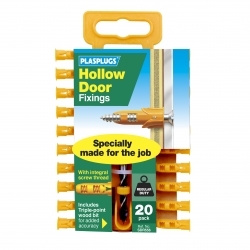 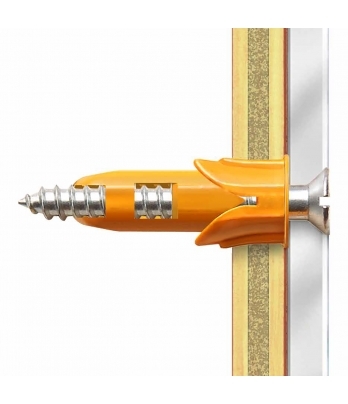 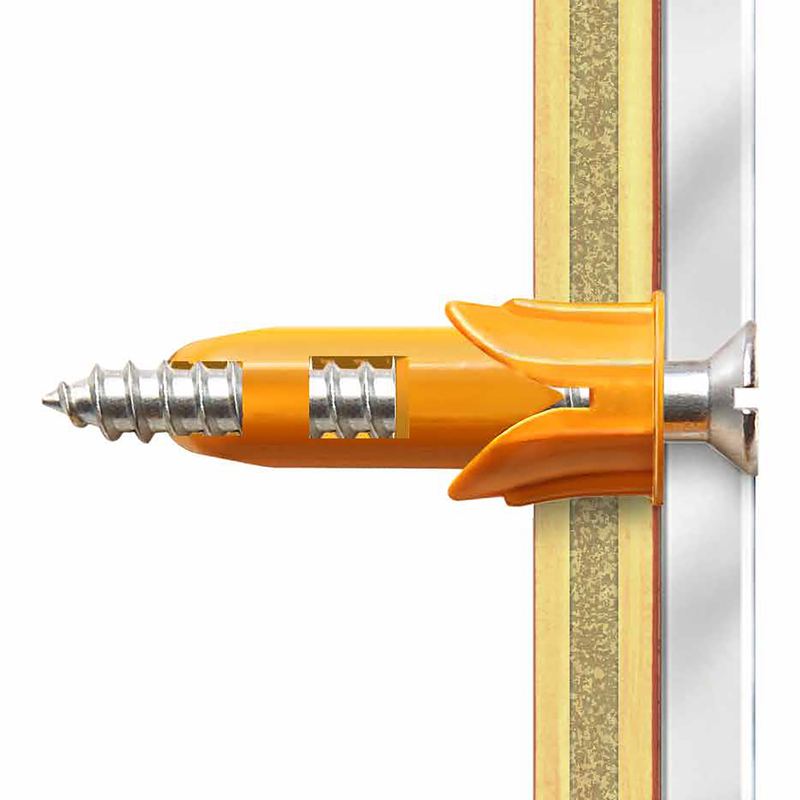 These tough compact fixings have a rivet type action that grips the inside of the panel. 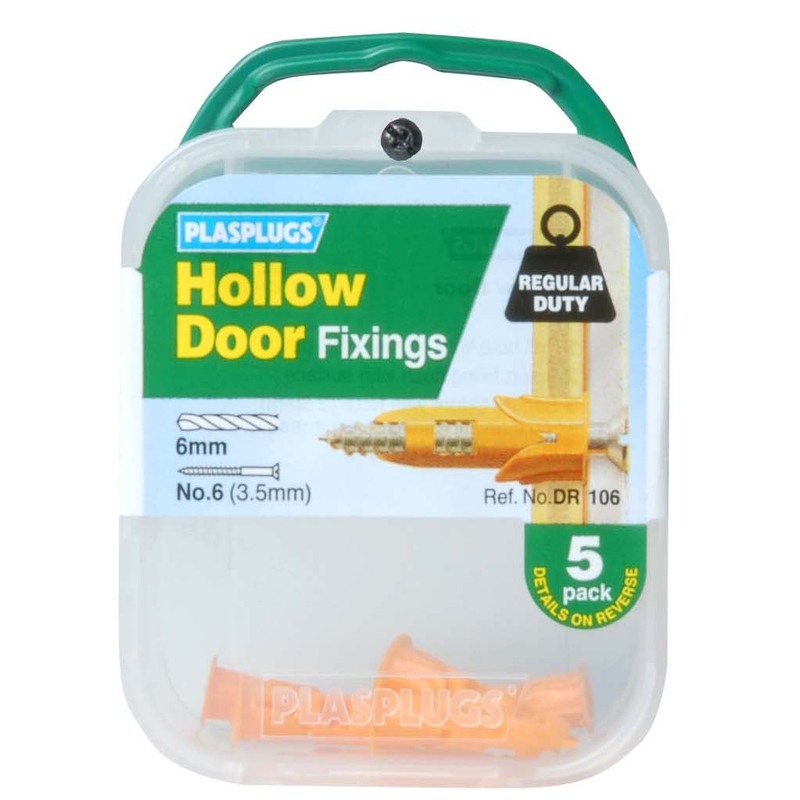 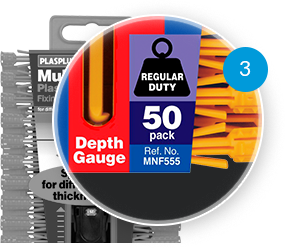 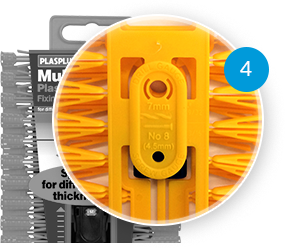 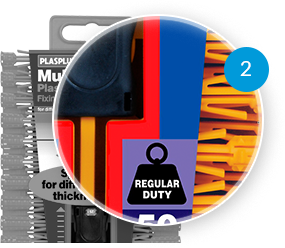 Plus for a precise start, the triple point drill bit provides a clean accurate hole for the fixing to fit in.